Did you know? 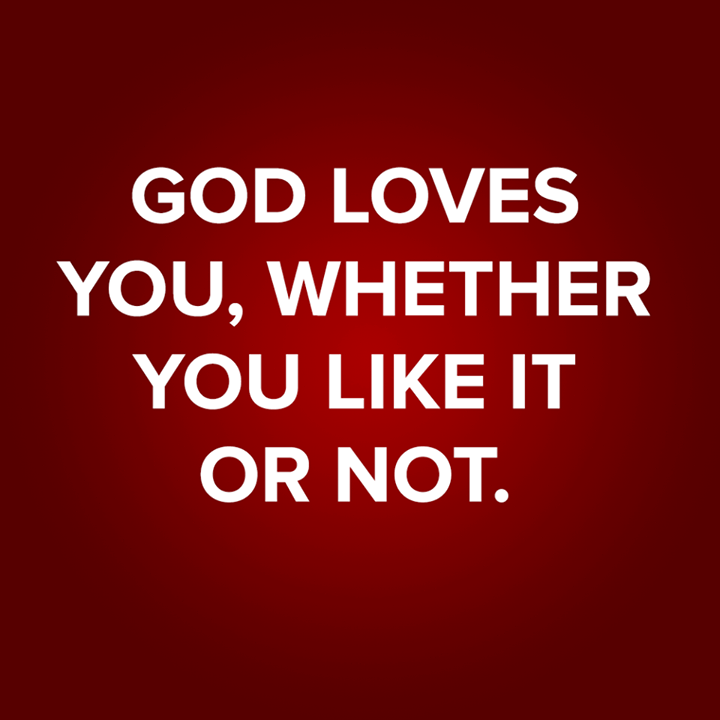 God loves us whether we like it or not. He loves us because we are His children. His love to us is eternal and will never end. God loves us not because of what we do but because of what we are: His holy children. The next time someone tells you God does not love you because of ABC, ...Ignore him. Simply know that He loves you and he only want the best for you. Copyright © 2016-2018 Eternal Love Church | Share the Love!